The very first time i visited Agbara Industrial Estate was during my students’ industrial training, when i was in the university. As a biochemistry student, i had been longing for opportunity to undertake my SIWES, which stands for Students’ Industrial Work Experience, in a major manufacturing company where i would be able to learn many things in my field, interact with people from different institutions and possibly secure opportunity for future employment. Even if i couldn’t realize all of those things, having the opportunity to work in one of the major factories in Agbara Industrial Estate was a dream come through for me. In April, 2016, i listed the top 5 companies in Agbara, and since then several people have been contacting me for more information about the companies and the city. So, today i will write a concise article about Agbara Industrial Estate; the location, the road network, the opportunities, the neighboring cities, the neighboring institutions, the estimated living expenses, and pretty much everything you’d like to know about the city. Most importantly, i will be updating this article from time to time so that i can always give you accurate information when you needed it. 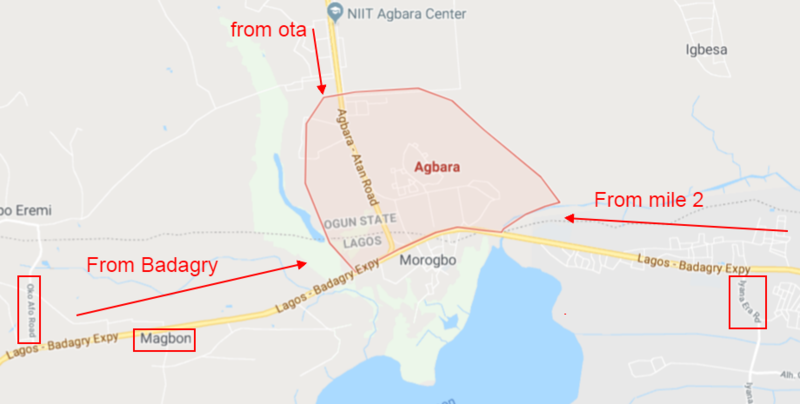 Most of the calls i received, the blog comments and the search terms related to Agbara are mostly about the location and how to get there. To make it easier for people who are coming to Agbara/Badagry for the first time, i have also written an article about the major routes to Badagry. Now back to the point, where is Agbara located? Agbara is a one of the major industrial cities in South – Western Nigeria that shares her boundaries with two states; Ogun and Lagos state. If someone tells you he/she lives in Agbara, Lagos state and another person says he lives in Agbara, Ogun state, no need to argue, both of them are pretty correct. However the most confusing thing is that many people thought Agbara Industrial Estate is in Lagos state. To be honest, it takes me some years before i know that the industrial side of Agbara is in Ogun state. For people who’re looking for employment opportunities or anything related to the factories, you need to know that the estate is under the Ogun state government. Sometimes in 2013, i was traveling from Lagos to Uyo, Akwa Ibom state, via road. On arrival, i find it difficult to locate the exact place i was going because the area was not popular and the commercial motorcyclists could not locate the place. Sadly, i had to wait for someone to come and pick me up from my stagnant location. That’s a terrible situation i never wished to experience. Unfortunately, it happens often than you think. However, if you know the neighboring cities or popular places around the place, you might be able to get to your location faster. So, in this section i will highlight the neighboring cities/places to Agbara. If you’re coming from inside Lagos, say from Mile 2 area, you will reach Iyana era and Ijanikin before Agbara. So Agbara is immediately after Ijanikin. If you’re coming from Republic of Benin or Badagry, you will reach Oko Afo, Magbon, and Ibiye before Agbara. See image below for maps. As at the time of writing this post, there are few institutions of higher learning around Agbara Industrial Estate. The ones highlighted below are few miles away from the city and they are very popular in the region. Adeniran Ogunsanya College of Education, Otto Awori, Ijanikin. When you talk about living expenses in Agbara, you’re definitely not going to about food. Cost of food in this region is pretty cheap if you can get raw materials and make food yourself. However if you’re the type that like fast food, you might be spending between 1000 and 4000 Naira per day, depending on what feeding style. 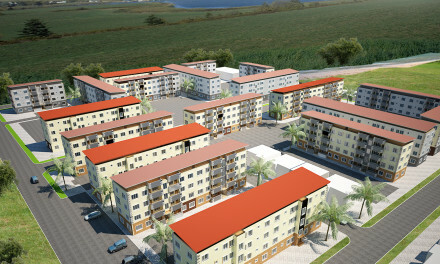 There’s no fixed rate for renting apartment in Agbara. 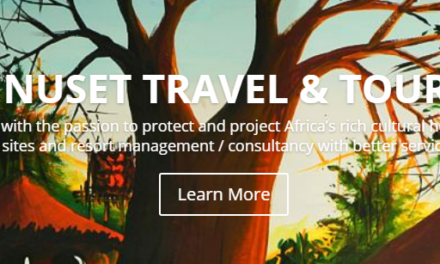 If you’re looking for a single room self contain (as being called in Nigeria), you might need to budget about between 6,000 and 8,000 Naira per month. For a room and parlor self contain + dining room, you might need to budget between 7000 and 10,000 Naira. For 2 bedroom flat, you might need to budget between 10,000 and 16,000 per month. Unfortunately, there might be other expenses such as agent commission, and agreement. Furthermore, there’s no fixed rate, actual prices might vary depending on the location, the house, and the amenities available. As at this present time (2018), there are more than six active industries in Agbara Industrial Estate. Recently i published a post highlighting the to 5 companies in Agbara and after two years, the companies listed in the article are still the leading companies in the city. 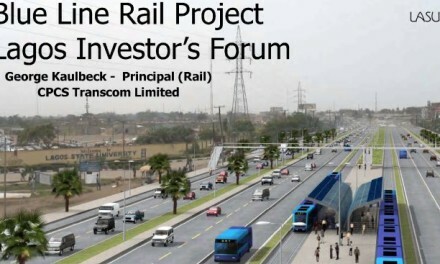 I hope this post gives you all the information you needed about Agbara Industrial Estate. If you have some questions or need my team’s assistance to tour guide you in Agbara, Badagry, or anywhere within Lagos state, kindly use the contact form to send send your request. Our tour company Jinuset Travels and Tour will be glad to make your stay in Agbara a memorable one.